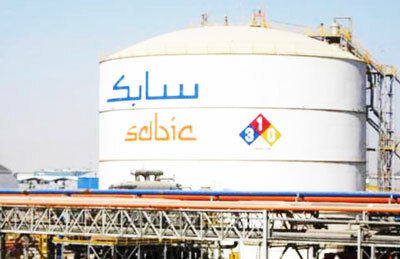 Saudi Basic Industries Corp (Sabic), a leading petrochemicals groups, reported a net profit of SR17.91 billion ($4.77 billion) for 2016, compared to SR18.77 billion ($5 billion) the previous year, posting a decrease of 4.58 per cent. The net profit for the fourth quarter amounted to SR4.55 billion compared to SR3.08 billion for the same quarter in 2015, an increase of 47.73 percent, and compared to net profit of SR5.22 billion for the preceding quarter, a decrease of 12.84 percent, the company said. Operating profit for the year was SR26.88 billion as compared with SR28.52 billion in 2015, a decrease of 5.75 percent. Fourth quarter operating profit amounted to SR7.29 billion, as compared to SR4.36 billion last year, an increase of 67.2 percent, and compared to operating profit of SR7.64 billion for the preceding quarter, a decrease of 4.58 percent. Gross sales/revenues for the current quarter is SR34.03 billion compared to SR34.16 billion for the similar quarter last year with a decrease of 0.4 percent. Gross sales/revenues for the period is SR132.98 billion compared to SR148.09 billion for the similar period last year with a decrease of 10 percent. Shareholders equity (excluding non-controlling interests) at the end of the period is SR163.04 billion compared to SR161.92 billion for the similar period last year with an increase of 0.7 percent. The audited financials were used for the comparative period of last year and non-audited financials for Q4 2015. He noted that the company’s cost structure continues to be an advantage. “The transformation of Sabic’s structure to provide increased business focus and customer intimacy will offer further cost advantages as the company leverages its strategic planning, supply chain management, and functional best practices across the global enterprise to become competitive in all that it does,” he said. Sabic's global business is expanding due to envisaged major new joint projects with leading companies, such as Saudi Aramco in Saudi Arabia, ExxonMobil in the US, and Shenhua Ningxia Coal Industry Group in China. All these efforts are aimed at achieving Sabic’s growth strategy, continuing to serve our customers closely, and sharing advanced technologies with these leading partners. "Today, Sabic has a more effective supply chain and is working on making further improvements in this field. At the same time, we continue to succeed in preserving the environment, health, safety and security at all our sites. Our milestone of completing 200 million man-hours without recording any lost time injuries testifies to these achievements. Sabic applies the latest technologies in all its operations and works on localizing these technologies, and providing innovative solutions for sustainable future, he said.